There are numerous ways to define reading. According to Collins (2010: 8), reading is a mental process that involves two activities: word recognition and comprehension. Furthermore, Collins explained that the act of reading is to recognize words in print and to comprehend their collective meaning. Collins also emphasized that the process of reading is performed inside the human brain. That is why it is called a mental process. Another definition was quoted by Yuantika (2009: 9). It is believed that reading is a process that directs the reader draw his/her own intelligence and experience to understand a text. While according to Vacca et al (in Yuantika, 2009: 9) reading is a process that is initiated by making predictions or “clever guess” about the meaning of some unit of print. In general, among those definitions above, reading is stated as a process that is firstly initiated by human brain. This kind of definition is known as the Top-Down Model of reading process. Beside Top-Down Model, there is also Bottom-Up Model of reading process. According to Brown (in Yuantika, 2009: 9) the process of reading is firstly recommended for the reader to recognize a multiplicity of linguistic signals (letters, morphemes, syllables, words, phrases, grammatical cues, discourse markers) and use their linguistic data-processing mechanisms to fulfill some sort or order in these signals. In other word, the process is firstly initiated by recognizing the print. There is also Interactive Model of reading process. It assumes that the process of translating print to meaning involves making use of both prior knowledge and print (Vacca in Yuantika, 2009: 10). It can be said that the latest theory is the combination of two previous theories. However, whatever theories we use to define reading, it is still required the provided print that in this case refers to text. In general, it can be concluded that there are two main aspects in reading process; the cognitive process occurred in the brain of the reader and the linguistic process printed in the text. This study shall focus mainly in second one. Comprehension is a complex process that involves constructing reasonable and accurate meaning by thoughtfully considering the information of massage of the text and connecting it to prior experience and knowledge (Collins, 2010: 62). From the definition, it can be inferred that comprehension requires the construction of reasonable and accurate meaning. Meaning cannot be separated from the fact that a text should be well-constructed. Furthermore, the process also involves prior experience and knowledge. Thus, the case of comprehension seems so simple in the surface, but it is complex in a closer look. According to Rubin in Asnani (2009: 8), reading comprehension is a complex intellectual process involving a number of abilities. The abilities include cognitive and linguistics abilities. Cognitive abilities cover the area of human brain, while linguistics abilities cover the area of printed text. There are still numerous perspectives about reading comprehension (Rumelhart, Strang in Asnani: 2009; Gough, Hoover, and Peterson in Collins: 2010). However, in every perspective, one thing that is required for comprehension is a text which is readable and well-organized (Kobayashi: 2002). The explanation about readability of a text will come in the next session. Since comprehension is the result of reading process, there must be different achievement among students. 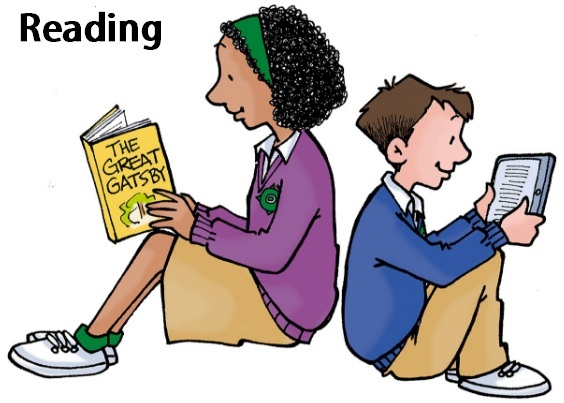 This is based on the assumption that every student has different process of reading. Knowledge, Comprehension, Application, Analysis, Synthesis, and Evaluation. In this level, students can get information from written text without deep inference. In other word, the information is provided all in one place in a text. Thus, students do not need to connect some pieces of information that is separated. In this level, beside students can get information from one place in a text, they can collect information from different places in a text and connect it becomes a complete information. In this level, students can connect the information in a text to their prior knowledge. Thus, it can be said that this level requires ability of inference. In this level, students can connect the information in a text to their prior knowledge with a deeper inference. In this level, with a deeper inference, students can apply and combine all the information gathered until they get deeper understanding. In this level, students can even criticize completely the information gathered.